“Pokémon” has spawned many clones ever since its first inception nearly 25 years ago. America has even tried coming up with some of these but have failed miserably. 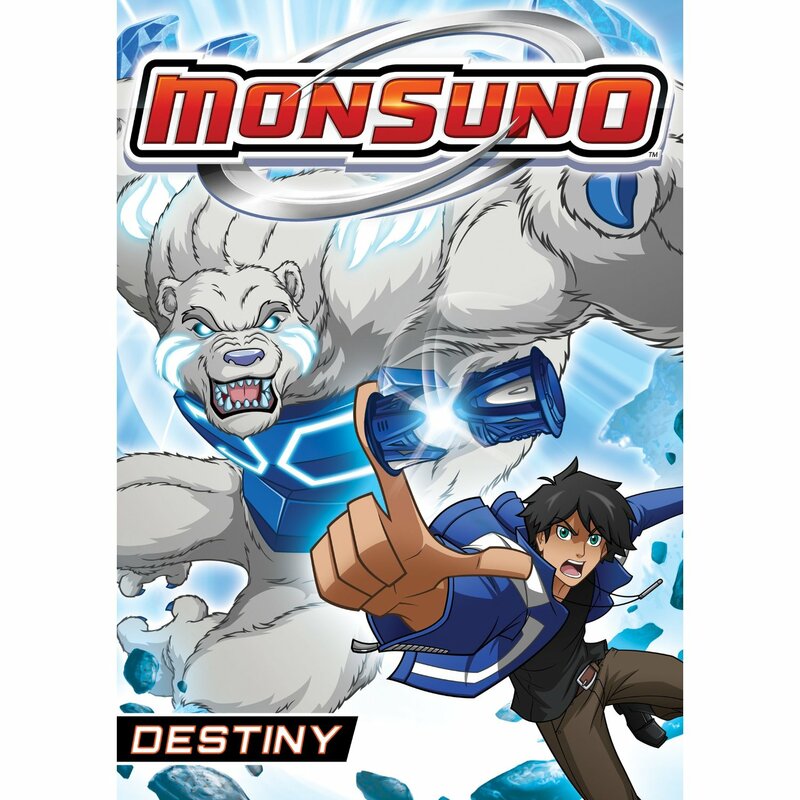 “Monsuno” is one of them and is bottom of the barrel variety. Your typical “Edgy” “Pokémon” clone but not quite a clone, we see Chase Suno and his two friends are looking for his father after discovering a capsule that has a bio-engineered monster called Monsuno in his dad’s lab. Things are easy for Chase and company, due to a military outfit called S.T.O.R.M chasing after them. The characters fit into the “Pokémon” roles so perfectly that it’s practically insulting. Chase is Ash to the T, with him being the leader, the brave one, has the best monster and has all the other clichés associated with the genre. Jinja is Misty if she was blonde and feisty and Bren is a super nerdy and annoying version of Brock. The characters have no redeeming qualities to them and have a weird way of swearing. They’re not well developed at all. The villains are also not well developed. The worst offender is a stereotypical Italian gangster that you would swear his name should’ve been Vinny or Tony. The monster designs do look impressive, though. They do scream out “don’t mess with me.” The only major complaint with them is why are all the good monsters blue and all the bad monsters red? This whole black and white mentality of the show further shows the weakness of the characters. The voice acting is another low point of the series. They range from painfully generic (Chase, some of the adults) to downright teeth grindingly annoying (Jinja, Bren.) On top of the voice acting there’s some horrible dialogue that wouldn’t even pass for a Disney Channel sitcom. When these instances come up expect your hand to smack your face. “Monsuno” is a “Pokémon” clone that has poor characters, mundane voice acting and is all around sub-par. The show has no redeeming qualities to it and there should no reason for anyone to delve into it at all.